2) Free samples for testing is available, customers bear freight but refuned once order confirm. 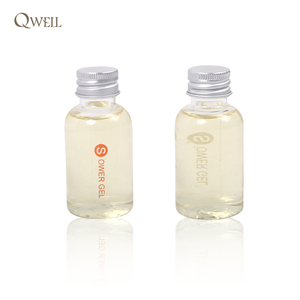 specialized in marketing and trading of essential oil and skin care products was founded in 2004, located in Guangzhou China. Our general manager and engineer technical backbone are all graduated from chemical engineering. 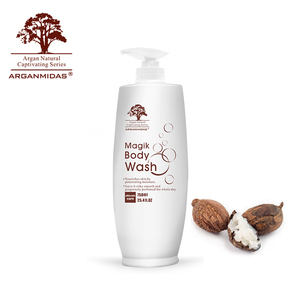 Nourishing Calming Body Wash leaves skin soft and moisturized long after you use it. Our insistence on using premium natural ingredients for manufacturing our products. We can provide one-stop services including product design,package design,accessory selection and so on. 3. Professional technology and marketing information 4. Considerate service to help you get most valuable products. 1. History and our brands: 23 years cosmetics factory, china TOP 10 cosmetics enterprise. 6. Our export market: Europe, North America, Russia, Asia, Australia, South America, and some Middle East, Africa countries. Use this gently shower gel during bath time to clean your baby's hair and body and gently dangle little locks. If found any discomfort and sensitive skin, please stop using and medical treatment. Our manufacturing unit has the world class R&D department to enable us to master theleading technology in the industry. 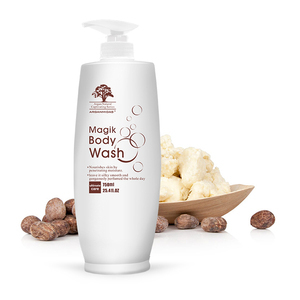 Alibaba.com offers 2,435 organic body wash products. About 32% of these are shower gel, 3% are shampoo, and 2% are body lotion. A wide variety of organic body wash options are available to you, such as bubble, whitening, and anti-bacterial. You can also choose from adults, babies, and children. As well as from gel, liquid, and foam. And whether organic body wash is free samples, or paid samples. There are 2,404 organic body wash suppliers, mainly located in Asia. The top supplying countries are China (Mainland), Taiwan, and India, which supply 84%, 2%, and 2% of organic body wash respectively. 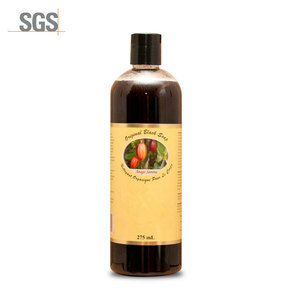 Organic body wash products are most popular in North America, Domestic Market, and Southeast Asia. You can ensure product safety by selecting from certified suppliers, including 873 with Other, 554 with GMP, and 449 with ISO9001 certification.